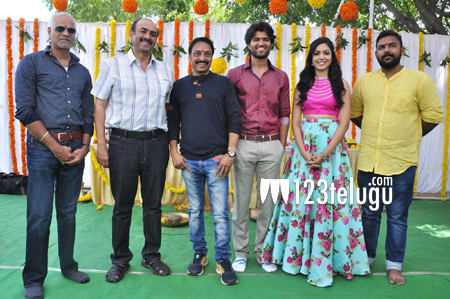 Vijay Deverakonda and Rithu Varma’s new movie ‘Pelli Choopulu’ was launched earlier today in Annapurna Studios. This film is being produced on Dharmapadha creations banner by Raj Kandukuri and Big Ben Cinemas jointly. Tarun Bhasakar will be making his debut with this film. D. Suresh Babu gave the honorary clap and Ashok Kumar switched on the camera. Touted to be a romantic entertainer, the film’s regular shooting kick started today itself in Hyderabad. The film’s music is composed by Vivek Sagar.